Look At The Coldest Place on Earth Inhabited By Humans - Eric Keith | The One, The Only! If you thought that Prospect Creek in Alaska was the coldest place inhabited by humans, then think again. It is not Fort Selkirk in Yukon, Canada. It is certainly not Rogers Pass at Montana in US. However, it does rank on the top ten coldest inhabited places on the planet. Vostok and Plateau Station, both in Antarctica, are certainly the coldest places in the world, where we have reached and manage to stay. But these are onsite research centers and not really inhabited villages or towns. Snag in Yukon, Canada, along with Eismitte and North Ice, both in Greenland, are among the coldest places but they too don’t have much of a settlement. 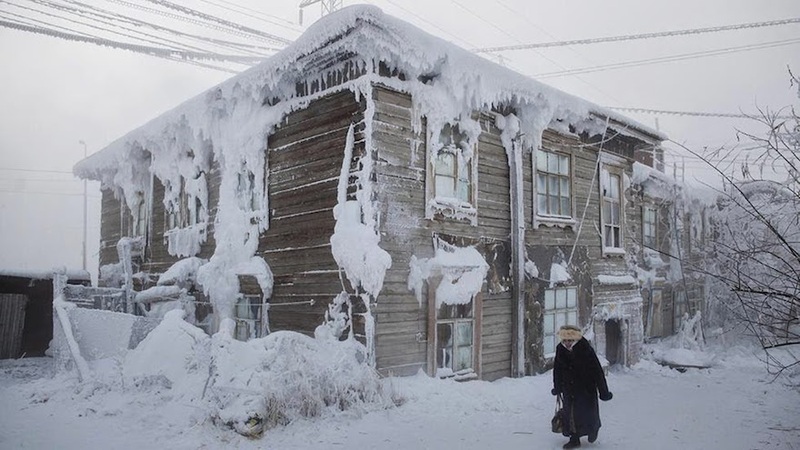 The two coldest places on earth inhabited by humans are Verkhoyansk and Oymyakon. Both are in Russia. 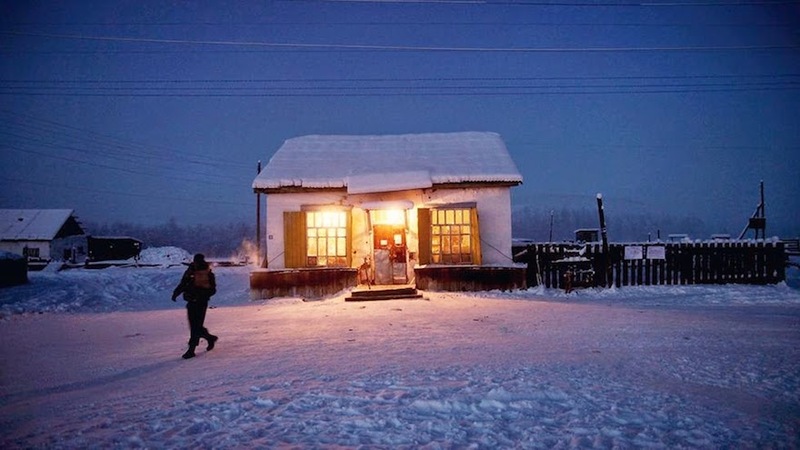 Oymyakon is undoubtedly one of the coldest places on earth and it is the coldest place that has been continuously inhabited. The place has a perpetual winter, with some relief during June and July but even those months cannot be called summers, not even remotely. The terrain of this place is mostly ice as it remains frozen for most months of the year. 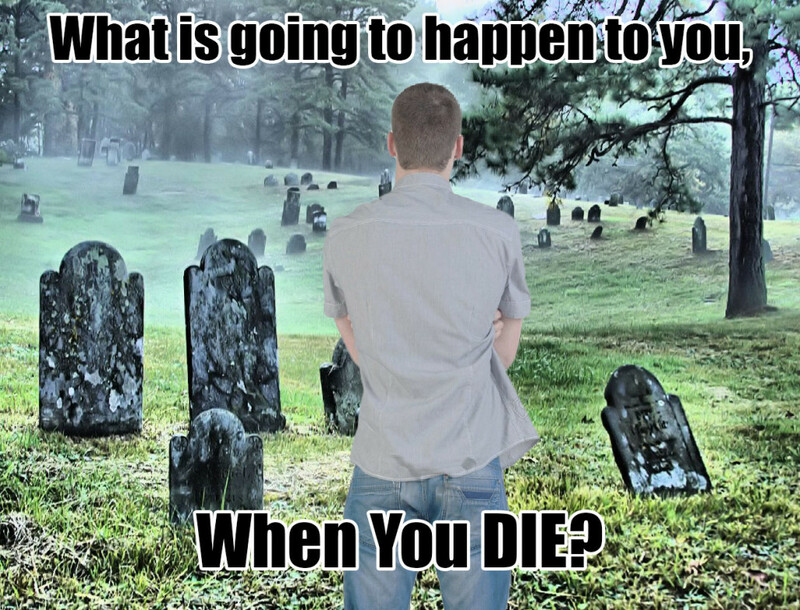 And don’t expect to see the snow melt through the day or at certain times of the winter months, a few before or after. The snow is there to stay. Chances are that your home and everything you own when kept outside will be drowned in snow. 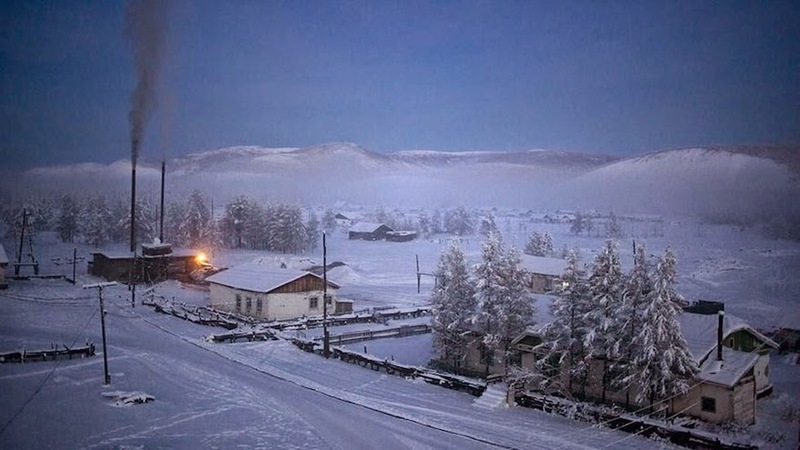 The rural town of Oymyakon typically records -38F in early November. The temperature starts to dip from September and during its peak on the cooler end of the thermostat, it will dip to -58F and further. The subarctic town had recorded a temperature of -90F back in 1933 in the month of February. 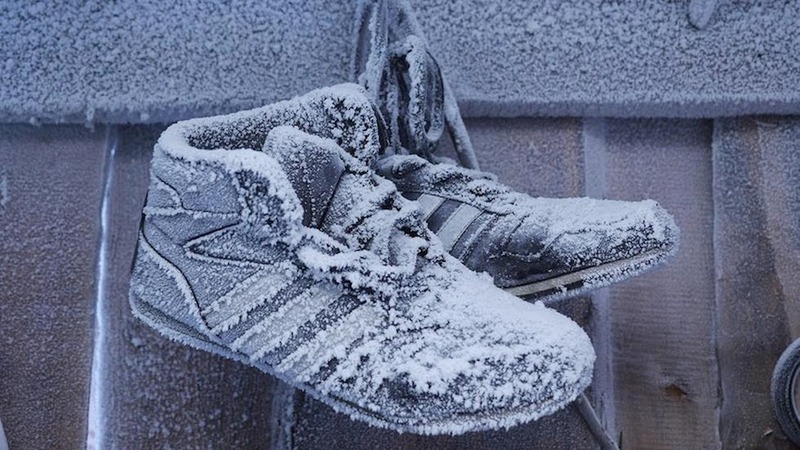 That remains the coldest temperature ever recorded in an inhabited place. Incidentally, the same temperature was also recorded in Verkhoyansk. When you look at the landscape of the town and the streets, you may wonder if anyone at all lives here. But as you see closely, you would see the houses and the lights. The town is substantially populous, given its climate and terrain. The residents of the place don’t venture out during the night, unless it is an emergency. 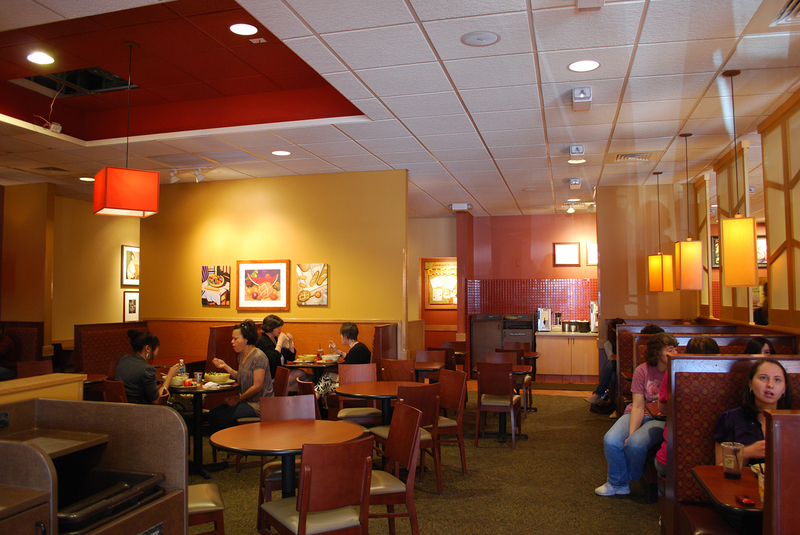 Through the day, people rush from one indoor place to another and avoid staying out even for a few moments. 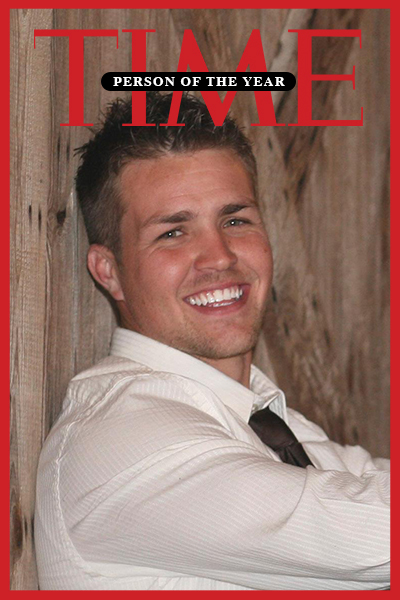 They are consistently racing against time and running to wherever they have to. That is the only way to avoid the biting cold. Oymakon is largely fueled by the village heating plant, which constantly releases streaks of coal smoke into the air. You can see the smoke billowing during a traditionaly quiet dawn. 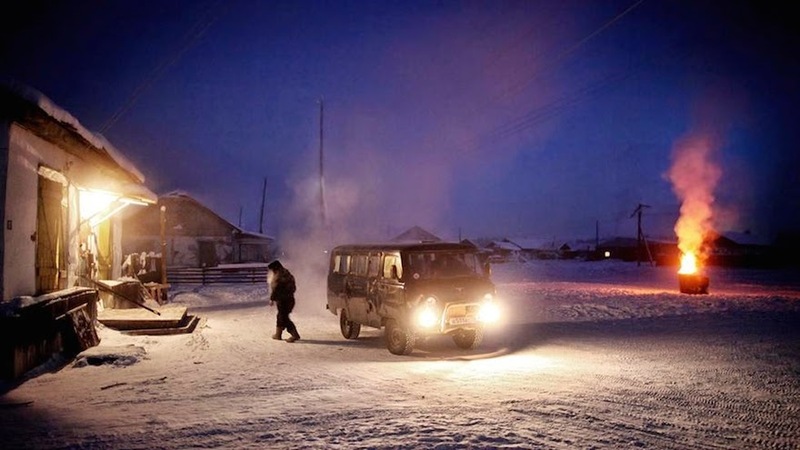 Dawns in Oymyakon are similar to dusks in most parts of the world. There is hardly any sunlight and the temperatures are still substantially below freezing point. The temperatures rise above the freezing point only in May and that too sporadically. June and July are relatively warm with temperatures at and above 14F. That too is unbearable for most people on the planet. Someone hung their summer shoes out in the shed to wait out the winter. Living in Oymyakon is one endless adventure or a painful endeavor. 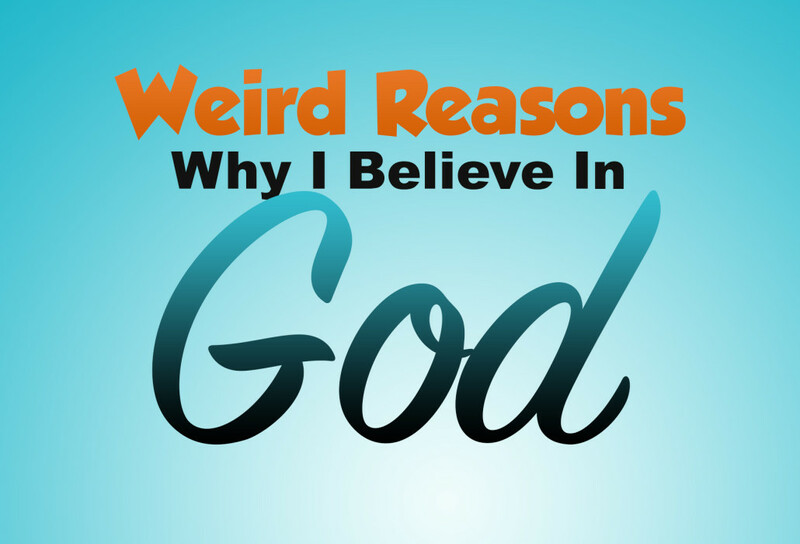 It depends on how you see it. There is a heating plant that caters to the whole village. 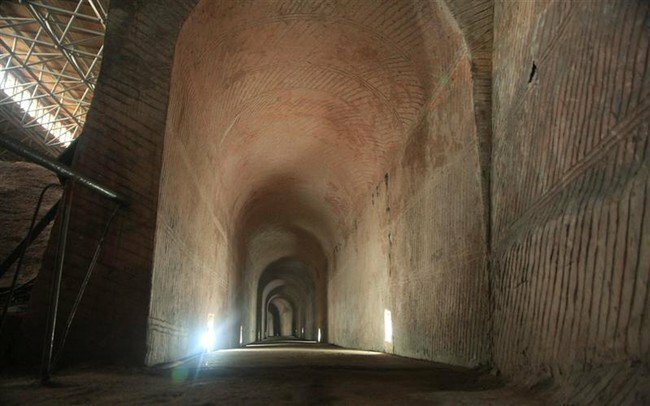 It is powered by coal and is possibly the only thing functioning all the time and makes itself seemingly obvious with the billowing smoke from the chimneys. There is only one shop that caters to all the needs of the residents. Whatever one needs has to be in the shop or it is not to be found anywhere around. The village only has one shop that sales practically everything the rural community needs. There is a river nearby, known as the Oymyakon River. The place gets its name from the river itself. 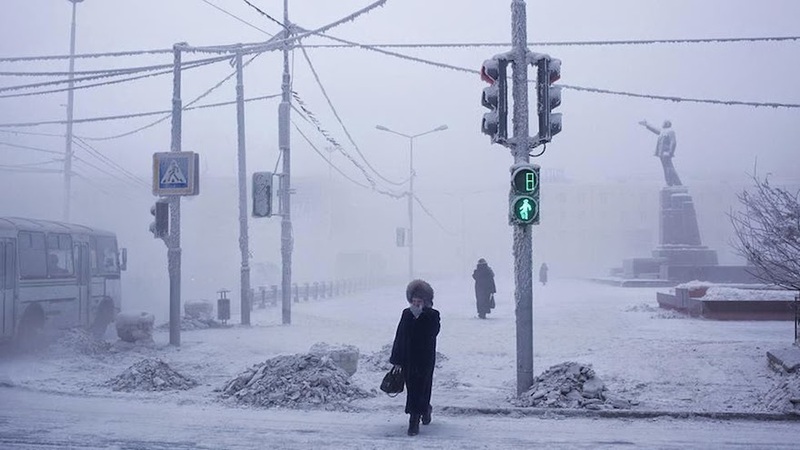 Interestingly, there are two versions illustrating the meaning of Oymyakon. 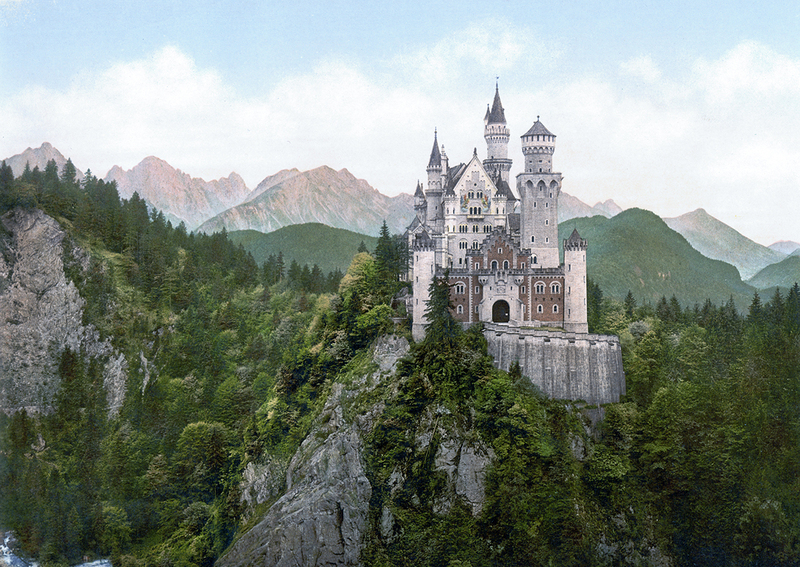 One version states that the word originates from ‘kheim’ which basically means an unfrozen patch of water. The other version states that the word originates from ‘heyum’ which basically means frozen lake. 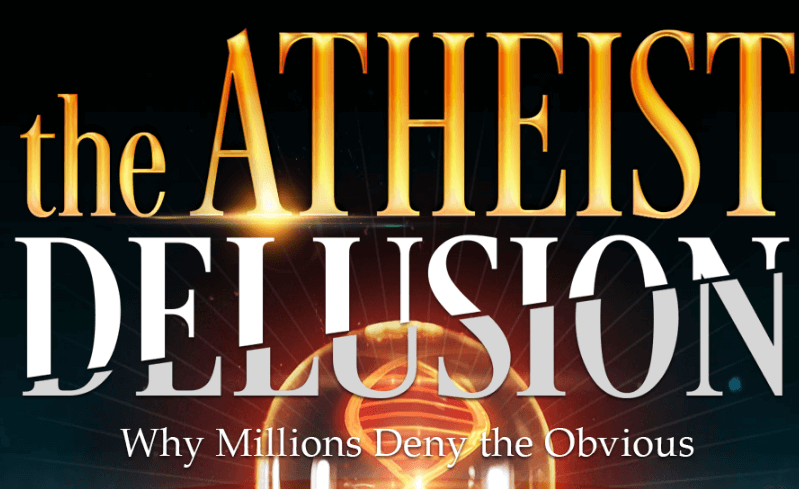 Which version tends to be true is anyone’s guess. The community is isolated, almost cut off from the rest of the world and there is very little to do in the land of ice and biting cold. But the residents have been living here for a long time. 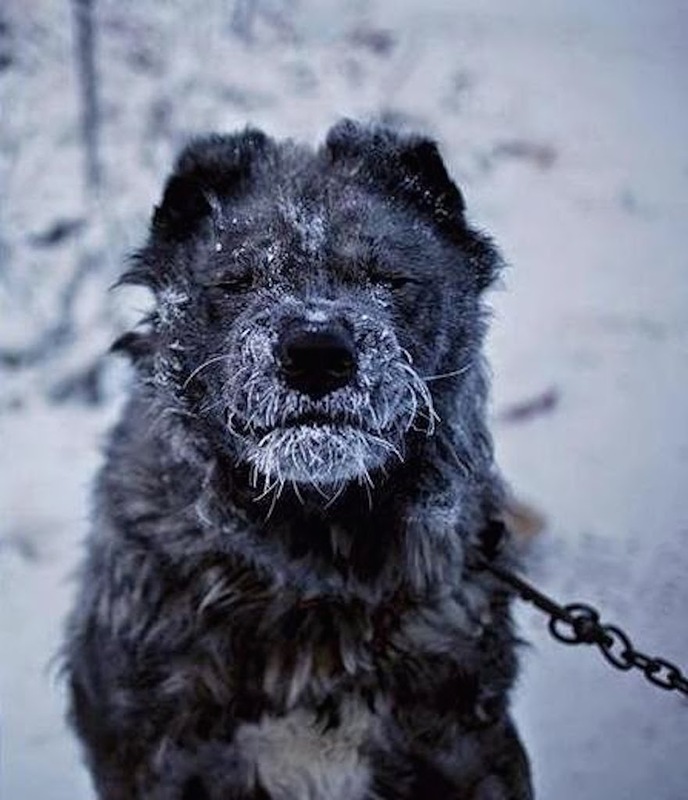 They have taken to ice fishing, hunting in that unbearable weather and they have learned to cope with the cold. From heavily insulated barns to keep the cows warm and, quite frankly, alive to inventive ways to keep oneself warm, life has shaped up in and around the bombardments of nature. 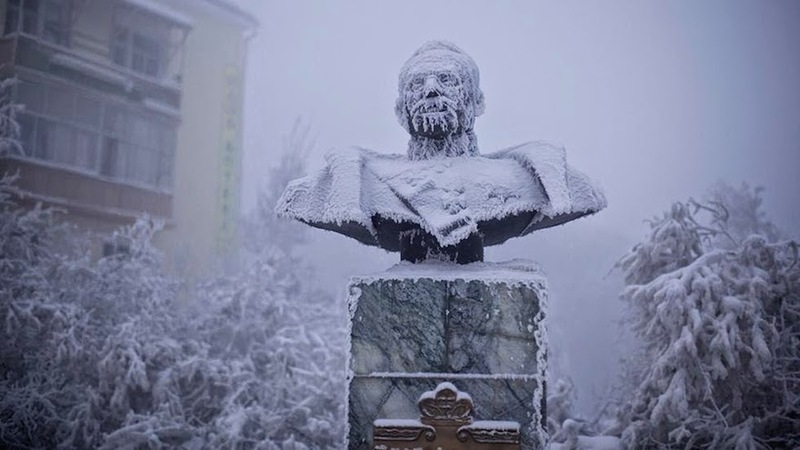 Ivan Kraft was the first governor of Yakutia, his statue sits in the city, frozen over most of the year. 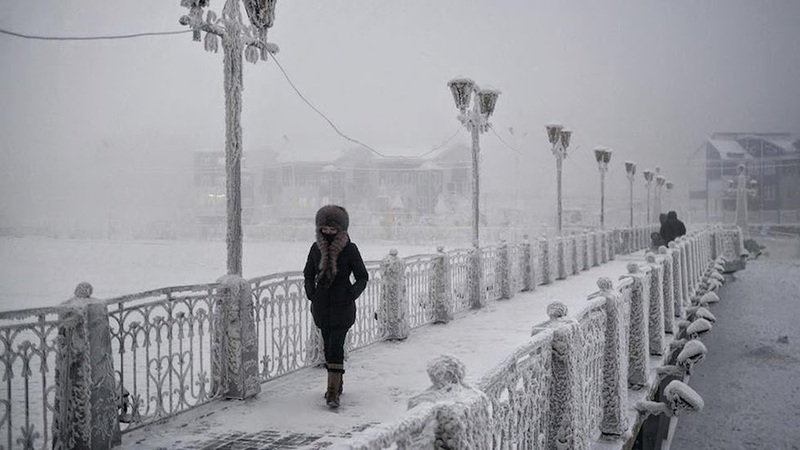 Oymyakon: No Place for Ordinary Folks! They say people get accustomed to their surroundings. Human beings can easily acclimatize. But just as hard it is to get acclimatized to certain places in Ethiopia and Somalia; it is harder to get accustomed in Oymyakon. You can still get some respite from the brutal heat in equatorial Africa. 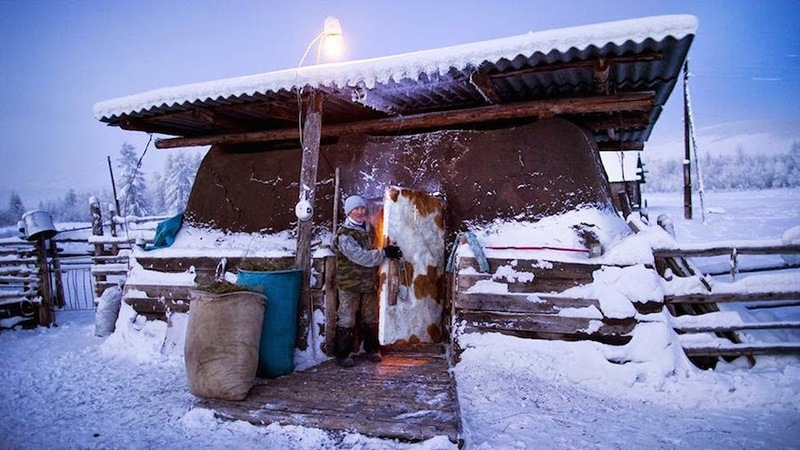 Finding refuge in the subarctic village of Oymyakon is a completely different ballgame, one that is rather difficult to play. Local farmer, Nikolai Petrovich keeps his cows warm and cozy each night by tucking them away in this heavily-insulated barn. Right at city center, a house sits frosted over in ice and snow. A local woman strolls across the street with a mitten pressed over her face, it was -63F on this day back in 2013. 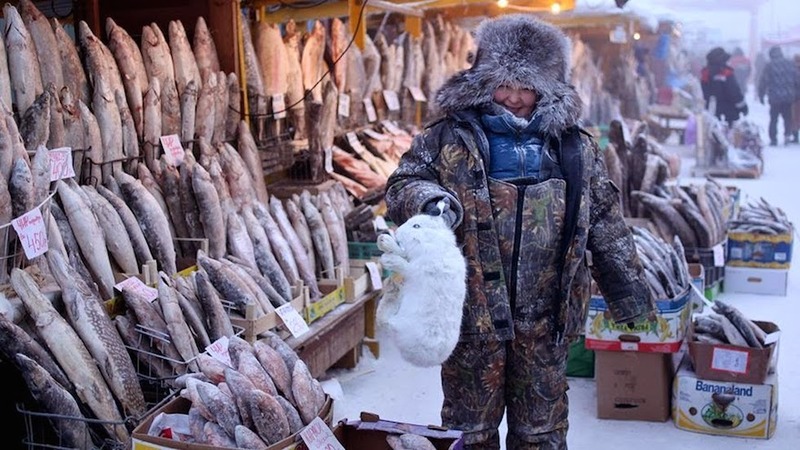 A local woman shops for food at the outdoor market. 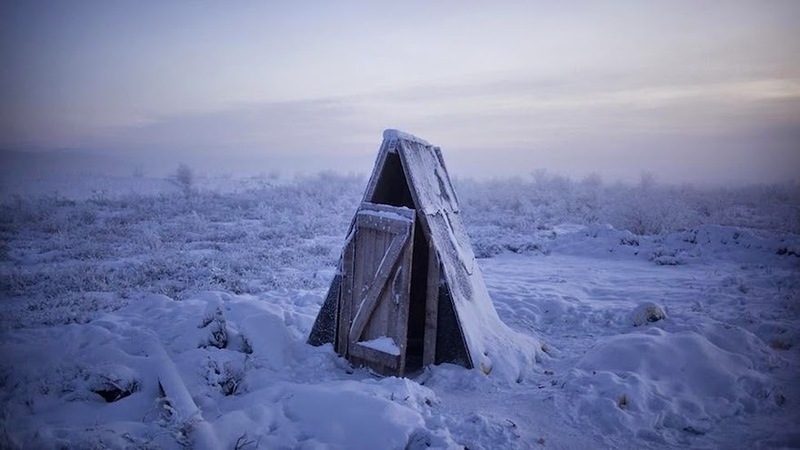 Have to go to the bathroom while traveling into Oymyakon? You can always stop at this toilet located on the side of road. Since the ground is frozen all of the time, plumbing is very difficult to dig, meaning most toilets include long drops. 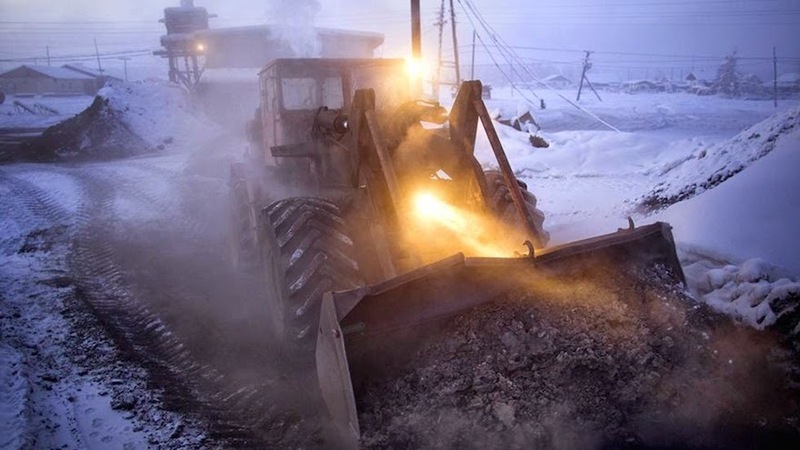 This digger delivers coal to the heating plant each morning in order to keep the town residents from freezing over. What do you think, could you handle living here? 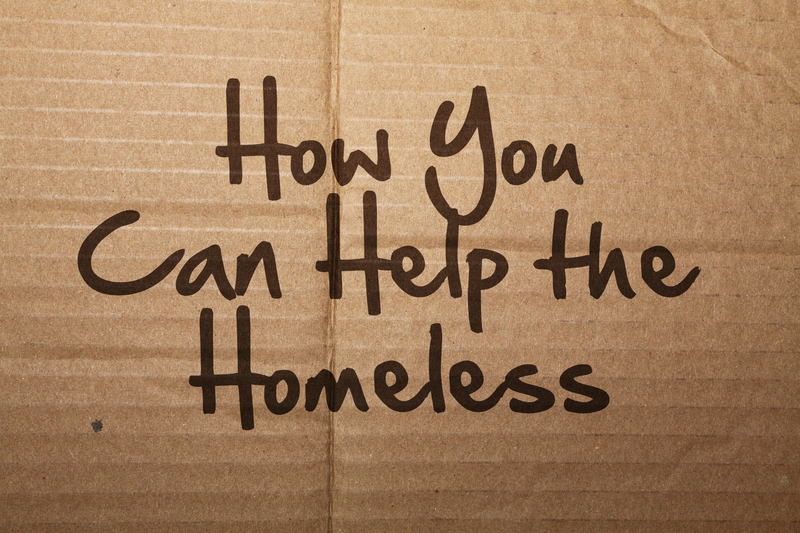 How You Can Help The Homeless 20+ Forbidden Places You Will NEVER be Allowed to Visit!